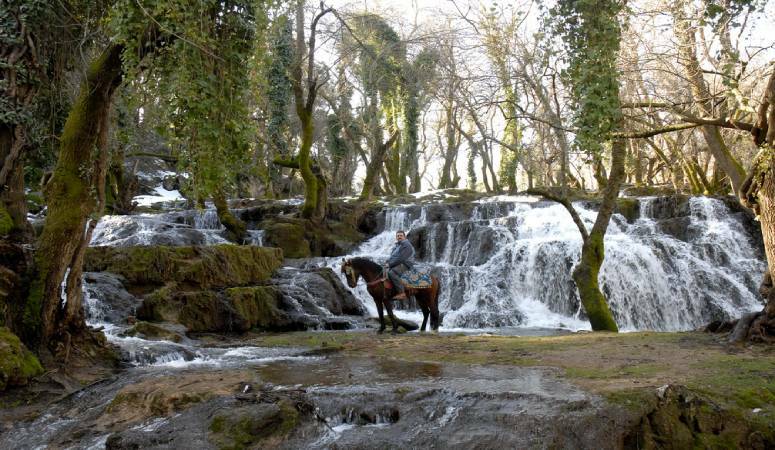 Ifrane is a beautiful town located in the middle Atlas with Fez being the closest major city to it. 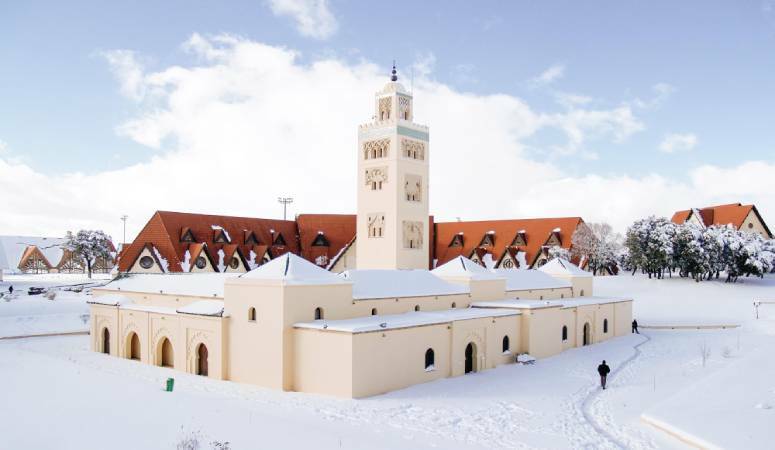 With a population of just under 75 k, Ifrane is a low key town in terms of size and population; However, it is a perfect tourist spot for those who prefer low profile towns with high profile attractions! There is no major international airport in the town. Your reference point will be major cities like Casablanca, Rabat, Tangier, Marrakech, and Fez. Once there, you could use a bus or taxi to get to the town. There is no train station in the town. However, you could take the train to Meknes or Fez, then ride a bus or taxi to Ifrane. Fes -> Ifrane (3h: bus ride from Fes to Safrou, then taxi from Safrou to Ifrane), or you could take taxi from Fes all the way to Ifrane. There is a major highway that connects Tangier to Rabat to Fes. So, if you want to drive, Make sure to head in the direction of Fes / Meknes, and from there you will see an exit sign to Ifrane. The town is one hour drive from Fes, and roughly the same from Meknes. Once your reach Ifrane, you will notice that the temperature drops, this garden town is located at an elevation of 1,665 m (5,463 ft). it sits on the Atlas mountain, with cedar tree forest surrounding the town and the region. The town center is relatively quiet, and less visited during the off peak time. 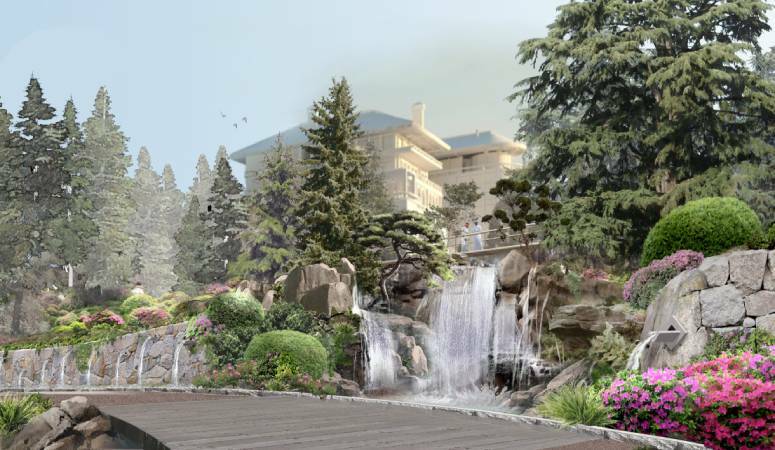 While there, you can stop by and visit the Lion sculpture, take a walk around the town and enjoy the fresh and clean air while looking at the beautiful gardens, and various types of trees (Cedar, Green Oak, The Portuguese Oak, The Maritime Pine...). Arzgoro tree is the oldest and largest cedar tree in Morocco, about 750 years old, located in Arzgoro forest. While there, you will get to see Barbary macaques monkeys, its population is decreasing and it is considered endangered animals. This ski resort is about 40 min drive from Ifrane; During the whole drive, you can enjoy some beautiful scenery and Fresh clean air. The station gets crowded during the peak winter season, with a number of restaurants and cafe available there. This is one of my favorite spot. There are a number of small waterfalls, with running creeks and trails. For those who likes to trek and wander around, Vittel will probably be your choice!.